You are currently browsing articles tagged Samuel Rutherford. Truth is rooted in nothing less than the truth that God exists. 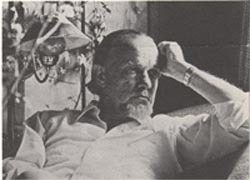 The following written address was delivered by Dr. Francis Schaeffer at the 10th General Assembly of the Presbyterian Church in America which met in Grand Rapids, Michigan on June 16, 1982. This message continues to be something which needs to be periodically re-read and pondered. It is a profound privilege to be asked to speak today, as this day we are one church. It is a day of rejoicing. It must primarily be that. And yet it is also a sober day before the face of our dear Lord—a sober day, for while this is now in one way an accomplished fact, in another way it is only a beginning. Like birth itself—birth is something completed—the human being nine months old emerges into the external world. But then, though this is a completed thing, what then matters is what is done with life. There is a life to be lived. For us, what matters now, with the rejoicing is the looking to our Lord for the common life which we now have together, to be lived and to be lived well in the light of the infinite-personal God’s existence, in the light of His revelation in the Scripture, in the light of the teaching and the sacrificial death of Jesus Christ, and in the light of the coming complete restoration of all things. We have much to help us: The Lord Himself, and our common heritage. There are differences in our heritage between the Northern and the Southern Presbyterian Churches. And there are divergencies in our histories since we have left those churches. But our common heritage is much greater than the differences. Our common heritage is rooted in the eternal final objective reality, the infinite-personal Creator, the triune God Himself. Our common heritage is rooted in the unity of all those who have believed God from the Fall onward. Our common heritage is rooted in the New Testament Church from Pentecost onward. Our common heritage is rooted in the Reformation when God’s people threw off the encrustations of the medieval church and returned to authority resting in Scripture only, and salvation resting only in Christ’s finished Substitutionary work in history on the cross. All these things are our common heritage which far outshadow the differences. But more, our common heritage is rooted back to Geneva and to Scotland with our Presbyterian forefathers, and then again closer to us in this moment of history. Our common heritage is rooted in that we take seriously the Bible’s command concerning the purity of the visible church. This is our common heritage or we would not exist as individual churches and now as one church. And, thus, when the denominations to which we have belonged passed the point of not return we—with tears but with loyalty to our Lord—practiced truth and we stepped out from the denominations when there was no return in these denominations after we had patiently tried. We have no illusions that in this fallen world and with our own finiteness and our own individual sin that we will have a perfect church but we stepped out looking to our Lord to help us have a true church. It will not be perfect, but we believe indeed we have a call to a true church—with a proper preaching of the Word, unmixed with liberalism; the proper sharing of the sacraments, being able to guard the table not having people sitting there who deny the great things of the living God, the Scriptures, and the living Christ; and also the proper administration to discipline in both doctrine and life. Yes, we do have differences of background but the common heritage eminently overshadows the differences. As we look ahead I would suggest certain things should be in our thoughts as individuals and as a particular church of the Lord Jesus Christ. Forgive me if I stress what I have stressed before in talks, articles and books. However, we will not know who we are or what lies ahead as a privilege and a duty unless we remember our Presbyterian recent past history. As we cannot understand our young people and the culture which surrounds us unless we understand the 60’s, so we cannot understand the present religious climate in the United States unless we understand the 1930’s. Prior to the 1930’s the Bible believing Christians had stood together as liberalism came in to steal the churches. Then at different speeds the liberals achieved their theft of the various denominations with their power centers of the seminaries and their bureaucracies. At that point and onward the true Christians instead of standing together as had been the case previously divided into two groups: Those who held to a principle of the purity of the visible church; and those who accepted and acted upon the concept of a pluralistic church. There’s a line just like that. It’s a line that began back there in the 30’s, has continued and marks the religious life of the United States excruciatingly in our own day—those who hold to the principle of the purity of the visible church and those who accept the concept of the pluralistic church. As you know, I have stressed over and over again the weakness of what became known as “the separated movement.” It is good to remind ourselves again what God’s calling to us is once we have become Christians. Our calling once we have become Christians is to exhibit the existence of God and to exhibit His character, individually and collectively. God is holy and God is love, and our calling is simultaneously to show forth holiness and love in every aspect of life—parent and child, husband and wife, church, state, everything else—an exhibition of the character of God showing forth his holiness and his love simultaneously. In the flesh rather than the work of the Spirit, it is easy to say we are showing holiness and it only be egotistic pride and hardness. Equally in the flesh rather than the work of the Spirit it is easy to say we are showing forth love and it only be egotistic compromise, latitudinarianism and accommodation. Both are equally easy in the flesh. Both are equally egotistic. To show forth both simultaneously, in personal matters, church and public life can only be done in any real degree by our consciously bowing, denying our egotistic selves and letting Christ bring forth His fruit through us—not merely as a “religious” statement, but with some ongoing reality. When we leave to begin a new denomination for Christ’s sake it is so easy to be proud, to be hard toward true brothers in Christ who differ with us, to those who hold to the Bible’s principles but nevertheless do not think the time is right. It is easy to be self-righteous and to self-righteously think that we are so right on this one point that anything else may be excused—very easy, a very easy thing to fall into. These mistakes were indeed made, and we have suffered from this and the cause of Christ has suffered from this through these now 50 years. By God’s grace as we begin together, let us consciously look to our Lord for His help not to give Satan the victory by making this tragic error. But equally, let us not allow any place for confusing Christian love with compromise, latitudinarianism and accommodation! The spirit of our age is syncretism in all the areas of life, in all the areas of thought. The spirit of our age is syncretism, and thus accommodation is the rule. The spirit of our age is the age of syncretism in contrast in truth versus error; and this being so, accommodation is the common mentality. Those in the churches who said they were practicing love but who confused this with compromise and accommodation have not been static in their error. Compromise is never static. It always progresses. Thus what began as ecclesiastical compromise has become the acceptance of a series of tragedies, a series of things which deny truth as truth. A series of tragedies which rest in the loss of the realization that truth as truth demands differen-tiation. Accomodation progresses and it is increasingly forgotten that truth, if it is really truth and not just subjective truth inside of our own head, demands confrontation, loving confrontation, but confrontation. If I lose the concept of confrontation it must be asked, do I believe that truth is truth. We must remind each other that all must be with true love and that the exhibition of God’s holiness must never be confused with hardness. Yet equally we must realize the responsibility to show forth and practice holiness as we go on together filling a great need in the church of Christ today not just in Presbyterian circles but in the church as a whole, and then in our society and in our culture. We have a great responsibility in our Pres-byterian circles, but it doesn’t stop there. It goes on, our responsibility, our duty, our privilege, as we become one, concerning the whole church of the Lord Jesus Christ, and then out into the society and the culture. Those who took the path of accommodation have not stopped on the level of one ecclesiastical unit but have had much to do in shaping that which is known as evangelicalism today. When Dr. Koop, Franky and I were in the midst of the seminars of “Whatever Happened to the Human Race,” one of us received a leter from someone in the evangelical ranks. He holds a good theological position in regard to Scripture and I like him. In his letter, however, he said: “I see the emergence of a new sort of fundamentalist legalism. That was the case in the trust conceiving ‘false evangelicals’ in the inerrancy issue and is also the case on the part of some who are now saying that the evangelical cause is betrayed by any who allow exceptions of any sort in government funding in abortion.” Now, speaking of the abortion issue, of course we would have to give some clarification. I know of no Protestant who does not take into consideration the health of the mother. If with tears the doctor cannot save both of his patients, the child and the mother, this is taken into consideration. It is all the other qualifications which are tacked on to the statement, I am against abortion except for this, that, the other thing, and 20 things more. And when we come to that place we have a question to ask, the question is raised if those who do this understand that it is human life as such that is involved in contrast to some individual’s or society’s concept of their own happiness. And when somebody tacks on all these exceptions one must say, do they understand all that truth means in the area of human life and the tremendous issues involved of human life as human life being important because we are made in the image of God in contrast to human life being able to be destroyed for either the individual’s happiness, the mother who thinks it’s for her happiness, or for society’s good. One must ask, do people really understand this, do they understand what truth means when they indeed forget what the real issue is at the level of human life? I would like to consider the phrase &quota new sort of fundamentalist legalism&quot in regard to all the areas we have been talking about. If what is involved in the phrase “fundamentalist legalism” is the loveless thing that some of us have known in the past, we of course reject it totally. The love of God and the holiness of God, as I’ve said before, must always be evident simultaneously. And if anyone has wandered off and later they see their mistake and they return, then surely the attitude should be not one of pride on our part that we have been right, but the attitude must be one of joy, and the playing of joyous music, and the singing of songs, and yes I would even say dancing in the streets because there has been a real return. Again, if the phrase &quotfundamentalistic legalism&quot means the down-playing of the humanities as unhappily has so often been the case in certain circles, the failure to know that the intellect, that human creativity by Christians and non-Christians, that the scholarly, that the Lordship of Christ in all of life are all important and are included in true spirituality, then my work of 40 and more years and the books and the films, would speak of my denying it totally. And if the term “a new legalistic fundamentalism” means the confusion of primary and secondary points of doctrine in life this too should be rejected. But when we have said all that, when we come to the central things of doctrine including maintaining the Bible’s emphasis that it is without mistake an the central things of life, then something must be profoundly considered. Truth carries with it confrontation, loving confrontation, but confrontation nevertheless. If our reflex action is always accommodation regardless of the centrality of the truth involved, there is something profoundly wrong. As what we may call holiness without love is not God’s kind of holiness, so what we may call love without holiness including when it is necessary confrontation, is not God’s kind of love. God is holy and God is love. This ends the segment that I have taken from the San Diego talk, and now to pick up and go on: That which has come out of the concept of accomodation has indeed grrown and spread. First ecclesiastical accommodation. Then when the Scriptures were with the existential methodology in the evangelical ranks this mentality meant that leadership was not provided in saying that here was a watershed issue which required a line to be drawn between those who held the historic view of Scripture and the new and weaker view. Now this is not to say that htose who hold and held this view are not often brothers and sisters in Christ nor that we should not have warm loving personal relationships with them, but when one is considering the issue of Scripture at this point we should realize that the name evangelical really must be considered here, and the name evangelical was continued to be accepted and used about seminaries and other institutions as though their unscriptural view of Scripture made no real difference. This is real accommodation. And when the human life issue came upon us, this same mentality of accommodation meant that no leadership was provided in meeting the issue any more than it had been in the scriptural issue. There was a great silence on this issue until some of God’s people stirred themselves—largely and in many places in spite of the leadership that had the sense of accommodation. They had forgotten that the unique value of human life is unbreakably linked with the fact of the existence of the infinite-personal God. But I would say, the accommodation does not stop; the whole culture has been squandered and largely lost. Eighty years ago there was a Christian consensus in this country; all the most devastating things that have come have come in the last 40 years. Anybody who here is 55 years of age, all the most devastating things in every area of our culture, whether it be art or music, whether it be law or government, whether it’s the schools, permissiveness and all the rest, all these things have come climactically in our adult lifehood if you’re 55 years of age. But, the mentality of accommodation did not raise the voice, it did not raise the battle, it did not call God’s people to realize that this is a part of the task to speak out into the culture and society against that which was being squandered and lost and largely thrown away. An accommodation mentality ecclesiastically in the earlier years led to a lack of confrontation in our culture, society and in the country. As the great loss occurred in sliding from a Christian consensus to a humanistic one from the 40’s onward more and more things were lost, more and more things were allowed to be robbed, more and more things slid away. And, let us say with tears, if one has the mentality of accommodation we must realize that it will still continue. A mentality of accommodation provides no basis for confrontation with tears concerning the oppression of Christians by those countries that hold the final reality to be merely material or energy shaped by pure chance. This mentality of accommodation provides no basis for a clear and public stand for our brothers and sisters in Christ who know oppression in such a situation. The mentality of accommodation provides no basis for a cry against tyranny as tyranny—not only tyranny against Christians but tyranny against Man, spelled with a capital “M,” who is made in the image of God. The mentality of accommodation provides no basis for fighting tyranny such as our forefathers fought tyranny, as we know the great and flaming names of the Scottish background and the Reformation who really stood not just against tyranny against Christians but understood that a Christian is called upon to stand against all tyranny. The mentality of accommodation provides no basis against not only internal tyranny in such countries as I’ve described but an expanding tyranny to new parts of Europe and the globe. A mentality of accommodation provides no basis for a strong stand in this situation. This is not our common heritage. As Presbyterians our heritage is with a Calvin who dared to stand against the Dukes of Savoy regardless of what it cost. Our heritage is with a John Knox who taught us, as I’ve stressed in A Christian Manifesto, a great theology of standing against tyranny. Our heritage is with a Samuel Rutherford who wrote those flaming words, Lex Rex—only the law is king and “king” under any name must never be allowed to arbitrary law. Are you Presbyterians? Have we a Presbyterian body? These men are the men who give us our heritage—Calvin and his position, John Knox and his, Samuel Rutherford his, and no less than these in our own country, a John Witherspoon who understood that tyranny must be met and must be met squarely because tyranny is wrong. These who understood that true love in this fallen world often meant the acceptance of the tears which go with confrontation. None of us like confrontation, or I hope none of us do. But in a fallen world there is confrontation, there is confrontation concerning truth, there must be confrontation against evil and that which is wrong. The love must be there but so must the hard thing of acting upon differentiation, the differentiation God gives between truth and falsehood, between what is just, based on God’s existence and His justice, and injustice. moderator that there isn’t a dichotomy between the proclamation of the Word and caring for people’s material needs with compassion and love, so also it must be emphasized that there is no dichotomy between preaching the Good News and taking a stand—and in fact, if there is nothing to take a stand upon there is no reason for preaching the Good News. We are to be Presbyterian and Reformed, but that is not the limiting circle of our responsibility. I would say to you, I plead with you concerning this, we are to be Reformed and Presbyterian but that is not the limiting circle of our responsibility. Our distinctives are not to be the chasm. We hold our distinctives because we are convinced that they are biblical. But God’s call is to love and be one with all those who are in Christ Jesus and then to let God’s truth speak into the whole spectrum of life and the whole spectrum of society. That is our calling. The limiting circle is not to be just that we are Presbyterian and Reformed. We hold these things because we believe indeed they are that which is taught in Scripture. But out beyond that there is the responsibility, there is the call, to be something to the whole church of the Lord Jesus Christ, and out beyond the church of the Lord Jesus Christ to the whole society and to the whole culture. If we don’t understand this we don’t understand either how rich Christianity is and God’s truth is, nor do we understand how wide is the call placed upon the Christian into the totality of life. Jesus could not be said to be Savior unless we also say He is Lord. And we cannot honestly and rightly say He is our Lord if He is only a Lord of part of the life and not of the totality of life including all the social and political and the cultural life. We begin together. May we ask God’s grace that we may do well in the whole extent of the possibility of our calling. I want to tell you I doubt if many of you realize how great the possibility of your calling is as you sit here today. It is tremendous. There is a tremendous need in our day. We have largely lost our culture. The poor church has not been give a clear direction. You have tremendous opportunity; you have a calling this day; I have a calling this day; we have a calling this day by God’s grace that we may do well in the whole extent of the possibility of our calling. It is intriguing to me that in the last six months that some important voices in the media and some of those who are pushing for a pluralistic church have been using the designations: “separatist” and “ecumenical,” I’m intrigued because I haven’t heard these terms used like this for a number of years. We do not wish to be separatist in any poor sense and we do not wish to be ecumenical in the bad sense. But whatever terms distinguish the difference, as we begin together because truth is truth, we must be willing ecclesiastically, concerning the Scripture, concerning human life, concerning oppression of our brothers and sisters in Christ, and concerning the spread of tyranny, we must be willing when it is necessary to accept the privilege and the duty of confrontation rather than accommodation. This is the command of Scripture, and it is the example of the Lord Jesus Christ. Let us be committed to each other, to the commands of the Scripture and to the example of the Lord Jesus Christ of understanding that truth is truth. We are not opposing these things for abstract doctrinal concepts, but what we are talking about is truth. We are talking about truth, and truth is not abstract. Truth is rooted in nothing less than the truth that God exists. This is the truth and that He has revealed Himself in the Scripture and He has sent His son to die for sinners like ourselves. If these things are really truth then it is not a place for synthesis, it is a place for antithesis. With love it is a place for confrontation and not just a mistaken accommodation which lacks a proper exhibition of God’s holiness. What do we mean when we speak of our common heritage and why is it important? What is the difference between uniformity and unity? Schaeffer refers to Christian compromise demonstrated by accomodation and latitudinarianism. Give some examples. What is a Christian consensus and has that ever prevailed in America? Is our role more limited or more enhanced because of our common Reformed and Presbyterian heritage? In the church? In the world? Schaeffer talks about our calling. What is our calling as individuals? As a denomination? As members of the universal church? The young seminary graduate traveled with his bride to a two year foreign mission stint in Alberta, Canada. Settling in the apartment underneath the church sanctuary, the newly ordained minister on Reformation day in 1966 began his first pastorate to the small Canadian mission church. Sometime during the first few months, he discovered in a used book store the two volume set of John G Paton, missionary to the New Hebrides. That stirring mission account became the Lord’s Day reading for the young couple all during their stay and ministry in the capital city of the province. Yet the author of this post in Presbyterian history did not have to worry about his physical safety, or that of his bride during our time there. Being eaten by cannibals was never on our minds and hearts. But to the Rev. John G. Paton and his wife, this was a constant danger in a society utterly depraved in word and deed. Indeed the lives of some earlier missionaries to those islands did end in that terrible way, while attempting to minister the Word of Grace to these same inhabitants. Yet still these Presbyterian missionaries in the mid-eighteen hundreds went courageously to these islands with a firm belief in the sovereignty of God and a loving desire to see the natives converted to Christ. Paton believed in the power of the gospel. Yes, there were difficulties. His first wife and child both perished in childbirth. He was subject to threats of life and limb on a day by day basis. More than once, he had to flee for his life to a tree limb or to a ship which came providentially off the coast. But with the provision of a second wife, he was blessed with a quiver full of children. In God’s timing, he was also blessed with a quiver full of spiritual children, as the entire island of Aniwa inhabitants came to a saving knowledge of Jesus Christ. And it was on this day October 24, 1869, that he was able to offer the Sacrament of Communion, in the Presbyterian manner, as he was apt at saying in his ministrations on that island. He would go to be with the Lord on January 28, 1907, with his wife proceeding him by two years. Both are buried in Australia. There is a notable quotation which was given to a Scotsman who, upon hearing of John Paton’s desire to minister in the islands of the South Pacific, said to him, “Cannibals! You will be eaten by cannibals.” Paton replied to the old saint, “You are advanced in years now, and your own prospect is soon to be laid in the grave, there eaten by worms; I confess to you, that if I can but live and die serving and honoring the Lord Jesus, it will make no difference to me whether I am eaten by cannibals or by worms; and in the Great Day my Resurrection body will rise as fair as yours in the likeness of our risen Redeemer.” May you and I, dear Reader, have a similar desire to go and minister for the Savior, come what may, knowing . . . knowing that our lives are sure and firm in the Savior’s plan for our lives. The young lad of five years old had been playing with some friends around a well when he tragically fell into it. The other children ran to his parents for help. They came, expecting him to be dead, but he was found cold and wet, sitting on a nearby hill. Puzzled over his escape, they asked him how he climbed out of the deep well. He answered that “a bonny white Man drew me forth and set me down.” No other explanation was ever given as to who or what this rescuer was, but his deliverance of young Samuel Rutherford preserved for time one of the stalwarts of the Reformed and Presbyterian faith in Scotland and England. Samuel Rutherford was born in 1600 in the village of Nesbit, Scotland, to a prosperous farmer and his wife. Because of this background, Samuel was able to receive a good education, one which culminated at the University of Edinburgh, where he attended from 1617 to 1621. His prowess in Latin enabled him to immediately enter the teaching profession there at the University. But it was as a pastor that he showed the spiritual gifts which would influence many a Covenanting heart to grow spiritually in the things of the Lord. Going to Anwoth in Dumfries and Galloway, Scotland, in 1627, he began to show his caring approach for the spiritual needs of the people. It was said by the members of his congregation that “he was always praying, always preaching, always visiting the sick, always catechising, always writing and studying.” To do all this, Pastor Rutherford rose up each day at 3 a.m. to engage in prayer and meditation. His marriage at a young age brought both happiness and sorrow. His wife was often sick, once for thirteen months. She did eventually die, but not before bearing Samuel two children, though both of them followed their mother to death’s dark door. He would marry again a “delightful” wife, but the personal sorrows continued, with only one of seven children surviving into adulthood. God clearly allowed these personal sorrows so as to make him a comforter of suffering saints. These were perilous times in Scotland. Preaching against the errors of Arminianism did not please the Anglican clergy. 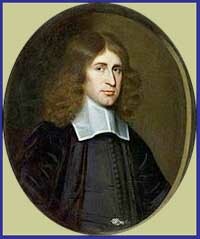 On July 27, 1636, Rutherford was barred from ministering to his parish upon the threat of rebellion if he continued. Exiled to Aberdeen, Scotland, and sorrowing over not just his loss of family, but also of God’s family, this was a difficult time indeed. But God often allows a hard experience so as to make one of his children a comforter to others in similar circumstances. It was at this time that Rutherford wrote numerous letters to other Christians, letters which helped them bear up through incredibly difficult times. These letters were eventually published by The Banner of Truth Trust. He was to stay in Aberdeen for 18 months. In 1638, there occurred a reversal in the political situation, during which Presbyterianism was restored in Scotland. 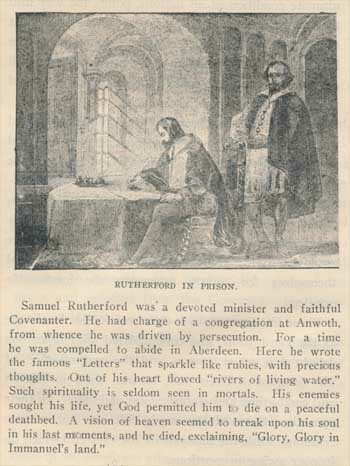 Samuel Rutherford was appointed by the General Assembly of the Church of Scotland to a Professorship at St. Andrews University. He went there with the condition that he be allowed to preach at least once a week. His heart was in the pastorate. Five years later, he went to London, England to participate as a Commissioner in the Westminster Assembly, where, along with the other four Scottish commissioners, he influenced that august gathering in a great way, even though he could not vote. [the Scottish commissioners were all of non-voting status in the Assembly.] It was said of his four years there in London, that he was especially well-remembered by all for his work on the Westminster Shorter Catechism. Rutherford’s magnum opus was titled Lex Rex. In this work he dealt with the subject of government and so effectively argued for limited government, that it was judged to be a direct attack on the divine right of kings. When King Charles II read this book, he ordered it to be burned and a charge of high treason to be laid against Samuel Rutherford. Though summoned to appear before the king, Rutherford was at that time confined to bed with illness. He turned down the summons, saying “I must answer my first summons; and before your day arrives, I will be where few kings and great folks come.” Samuel Rutherford died March 20:1661. With a Name Like That, He Could Have Played Baseball. Azel Roe was born on February 20, 1738. His father, John Roe, was a man of some considerable means, and he was able to afford his son an excellent education. Azel attended the College of New Jersey (now Princeton University), and graduated there in 1756. He studied theology privately under the guidance of the Rev. Caleb Smith and was licensed to preach by the New York Presbytery around 1760. He was ordained about two years later, and after serving as pulpit supply for the Presbyterian church in Woodbridge, New Jersey, was finally called to serve as pastor there, being so installed in the autumn of 1763. While for a good many years his time was split between Woodbridge and another congregation, Rev. Roe remained at Woodbridge until his death in 1815, a remarkable tenure of over fifty years. Roe had married the widow of Rev. Caleb Smith at about the same time that he was installed as the pastor of the Woodbridge church. Roe’s wife Rebecca was the mother of all his children, two sons and six daughters. But Rebecca died in the autumn of 1794, and about two years later, Rev. Roe remarried, this time to Hannah, daughter of the Rev. 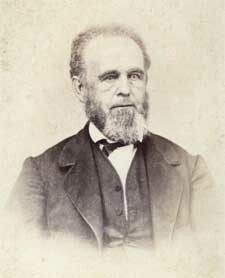 David Bostwick, who was the pastor of the First Presbyterian Church in New York. Hannah was herself a widow, having first been married to General Alexander McDougall, a famous Revolutionary War hero. When Gen. McDougall died in 1786, Hannah remarried a Mr. Barret, who was the U.S. Consul to France. He in turn died some time prior to 1796, and Rev. Roe married Hannah on December 24, 1796.
Letters of Samuel Rutherford (Banner of Truth, 1984), Letter II, p. 34. A portrait of Rev. Roe can be found here. And details of his grave site, here. We focus today on the death of a covenant child, the son of the Rev. Andrew Hart Kerr. The death of any child is always difficult. I pray the following account will offer parents some consolation and pastors some guidance in their own ministry. Andrew Hart Kerr was born on April 2, 1812. Raised in Virginia, he came to West Tennessee in 1854 and the town of Kerrville, which was laid out in 1873, was named in his honor. Rev. Kerr founded the Delta Presbyterian Church there in 1857, and spent forty-four years of his life in the ministry. In his time he was recognized as one of the leading lights of the Southern Presbyterian Church, serving as Moderator of the sixth General Assembly in 1866. Rev. Kerr died on September 16, 1883. From 1865-1870, the Rev. Thomas Dwight Witherspoon was pastor of the Second Presbyterian Church in Memphis. He and Rev. Kerr quickly became close friends, and so it was that when tragedy struck close on the heels of that sixth General Assembly, Rev. Witherspoon was there to minister to the Kerr family. At the graveside, he brought not only the eulogy for Rev. Hart’s son, but in later years, served the same sad task for two other Hart children. Eventually these three eulogies, along with an evangelistic message to children and an exhortation to parents, were gathered together and published as Children of the Covenant. I know of few such resources for pastors, though From Grief to Glory, by James W. Bruce, III, would be one recent work on this same difficult subject. “On Saturday, the 24th of November, while we were in Memphis, the Moderator of the General Assembly, Dr. Kerr, said to us, ‘Bro. Robinson, when you preach to some of our people tomorrow, I want you to preach, as I heard you preach once about how all the afflictions of the people of God work together for good.’ We complied with his request, little thinking, that within three days, our friend Dr. Kerr, would himself have such special need of that very truth of the Bible to sustain his stricken soul. “Andrew Hart Kerr, Jr., died Wednesday, the 28th day of November, after fifteen hours sickness, at 10 o’clock, a.m., without a groan or a struggle. He was 13 years and 18 days old. 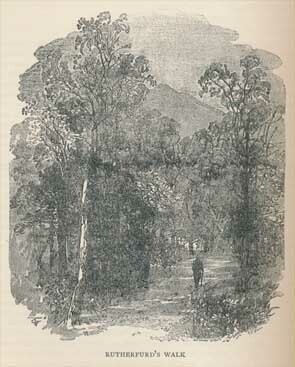 Six hours after the adjournment of that great body, of which you speak in such just and exalted terms in your paper, and the Moderator, Dr. Kerr, was receiving the warm congratulations and expressions of cordial love and esteem from the noble men just risen from the Lord’s council, his only son, Andrew Hart, Jr., the most promising youth of my acquaintance, and at least the equal of any I ever knew, was stricken down with cholera, and died in fifteen hours. ” ‘Hart’ was a child of the covenant, and though he had never yet made a public profession of religion, his was the most triumphant death I ever witnessed. “When the child was thirteen months old, I was present as his believing parents gave him to God, by the hands of the late beloved and excellent Dr. Edgar, of Nashville, and then I knew the Master was there present, ratifying and approving the dedication, and often since have I said, that if I had no other and higher testimony in proof of the “doctrines of the covenant” in regard to infant baptism, than what I saw and felt upon that occasion, it were enough. “From his earliest recollection, Hart had been trained up in “the nurture and admonition of the Lord,” and though a child in years, was well versed in the doctrines of the church of his fathers. The day before his death he sat during the entire session of the General Assembly among its members, listening with the closest interest to its proceedings, and at the close was deeply moved by his father’s parting address and the farewell greetings he there witnessed. When he was informed that he would probably not get well, and his father exhorted him to place his trust in his Savior, and to give his heart to God, he prayed long, earnestly and with remarkable force and intelligence, for mercy and forgiveness through the merits of a crucified Redeemer, in whom alone he relied for salvation, and when he concluded his prayer, in which he exhibited a thorough acquaintance with the whole plan of salvation through the cross, he gave the most indubitable assurance of his acceptance and reconciliation in Christ, and continued to rejoice and praise God, and to tell what a blessed Savior he had found, until his strength was too far spent to talk. The Rev. Drs. Adger and Joseph R. Wilson, of the Assembly, were present, and enquired faithfully into the ground of his hope; and when he told them he knew, young as he was, that he was a sinner, and that he must be saved, if saved at all, through the atoning merits of a crucified Redeemer, and that he had given his whole heart to God, and now felt that he had rather go and be with Christ and the Angels, than stay in a world of sin and sorrow, these good men could not refrain from shouting “Glory! Glory!! Glory to God in the highest!! !” as they heard then and there such clear evidence of His faithfulness to his promises, in the case of this child of the Covenant. They bid the crushed parent rejoice, and not weep amid such splendid manifestations of the presence and power of the Holy Spirit. “Calmly he bid each one present goodbye, exhorting them to meet him in heaven, and gave to his sister, who was present, a kiss for his ma and sisters, who were absent, calling each by name, saying, “tell ma not to be distressed about me, that I died happy in Jesus, and have gone to heaven, where she and my little sisters must meet me.–When asked if he was afraid to die, he promptly replied, “No, no, who would be afraid to meet his Maker’s face, with Jesus for his friend?” “I know in whom I trust.” He spoke of different friends and relatives who had gone before, and whom he expected to see in heaven, and said,”I love my father and mother, and sisters very much, but I love Jesus more,and would rather go to him than stay here.” He suffered comparatively little, and never shed a tear from the time he was taken till he breathed his last. He was in full possession of his mental faculties, to all appearance, up to the instant the breath left his body, and until he could speak no longer, said his trust was in the Lord, that he was dying happy, without pain; and when he could not utter the words, he would respond with his head, conscious to the very last, never for a single moment doubting or wavering in his faith and hope of salvation through Christ Jesus as his Redeemer. February 20: Azel Roe, D.D.